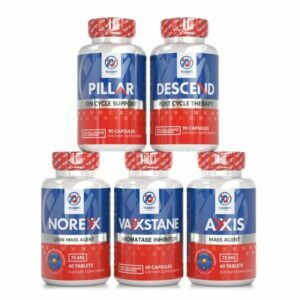 The Be-All, End-All Guide to SARMs - Vaxxen Labs, Inc.
[vc_row][vc_column][vc_column_text]Thinking about adding SARMS to your health and fitness routine? Wondering if they’re as effective as everybody says for increasing muscle mass, decreasing fat, and increasing bone mass – or if they’re just dangerous? We got your back. We’ve heard the hype of SARMs too, and we want you to make informed decisions about what is best for you and your health. Keep reading for everything you need to know about SARMs… and then some. While SARMs tend to be used by athletes and bodybuilders to increase performance or strength, they were developed for specific reasons that have nothing to do with making us look better in a bathing suit or winning muscle competitions. In the 1940s, researchers modified the structure of the testosterone molecule and discovered the first SARMs. Ligand Pharmaceuticals developed “cyclic quinolinones” and they later became what we now call nonsteroidal SARMs . A primary reason SARMs are researched and developed is for the treatment of male hypogonadism – an increasingly common condition in men as their bodies stop producing the right amount of testosterone. Male hypogonadism can be a condition males are born with, or they can develop it later in life after an injury, infection, or the natural course of aging. Hypogonadism causes muscle mass loss, increased fat, low libido, and depression. Administering SARMs can help reverse hypogonadism. SARMs research and development is in an effort to eventually help people with muscle wasting diseases, osteoporosis, chronic fatigue, and anemia. 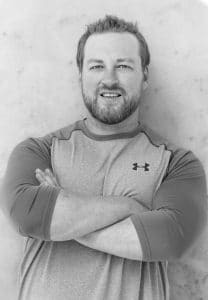 Many people experiencing these health challenges use testosterone replacement therapy, but the idea of SARMs is to create a chemical or medication alternative that could treat these ailments with a healthier alternative. SARMs are in various stages of clinical research studies, and scientists and researchers are still working to determine whether or not SARMs will ever fulfill that original vision for their use. None of the clinical trials have advanced to late-stage, Phase IV clinical trials, which is when the drug is used for the people and then the effects are measured and watched over a long period of time. At this time, the majority of studies on SARMs have been on rats. A few Phase 1 trials of SARMs on humans have performed with modest muscle gains recorded in individuals with muscle-wasting conditions, but no clinical research on athletes using SARMs. In the meantime, bodybuilders and athletes have picked up on the potential of SARMs to enhance their performance and are buying the SARMs from research chemical suppliers and using them as if they are health supplements. 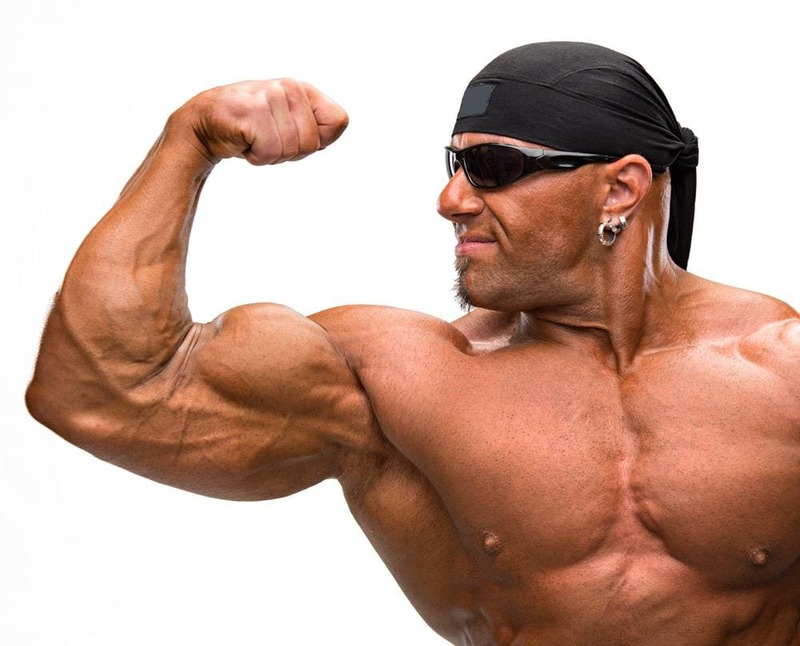 Some bodybuilders start using SARMs as a “gateway” to using traditional steroids; while others are already using steroids, and want to increase their effectiveness with a product they feel will not create additional side effects or health risks. In the body, production of androgen is naturally regulated to avoid an imbalance, but when you introduce anabolic steroids or SARMs to your body, your cells are flooded with extra androgens that saturate your cells, creating the effects of excess androgen in the body. SARMs are drugs that share similarities with anabolic steroids. 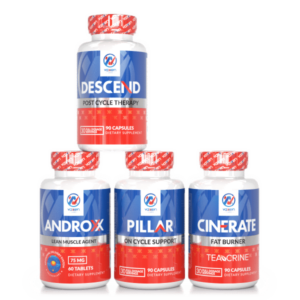 Bodybuilders all over the world praise these things as the ultimate in health supplements to enhance athletic performance and build muscle. They’re supposedly legal, although that’s questionable. What does that mean? Well, you can buy SARMs through a legal loophole, basically. You can buy them, but if you’re buying them for anything other than research or experimental chemicals not meant for human consumption, you’re not supposed to buy them. You can’t walk into your local GNC or the health supplement aisle of your favorite Walmart and purchase a SARM off the shelf. Ostarine is developed by GTx, Inc. It is an orally active nonsteroidal SARM. MK-2866 increases lean body mass, improves physical functioning, and increases insulin sensitivity . There are two side effects Ostarine generally causes including elevated estradiol levels and HPG axis suppression. 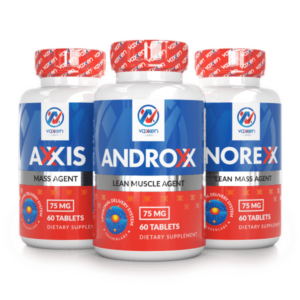 Andarine is developed by GTx, Inc. It is an orally active nonsteroidal SARM. S-4 can increase muscle and bone mass without affecting the prostate, because it is tissue-selective, stimulating anabolic organs more than androgenic organs. As a result, S-4 does not suppress LH or FSH, and it doesn’t increase estradiol levels. It is not without side effects, however. S-4 reportedly causes vision disturbances like a yellowish tint to vision and night-time blindness. Developed by Ligand Pharmaceuticals, Ligandrol is an orally active nonsteroidal SARM that has gone through Phase 1 clinical trials. It was found that humans can tolerate up to 22 mg per day of LGD-4033 safely for up to 14 days. The result in healthy volunteers was an increase in lean body mass, increased strength, decreased fat, and increased sense of well-being. Another orally active nonsteroidal SARM, LGD-3303 increases muscle mass and BMD in rat test subjects. When using castrated rat test subjects with androgen deficiencies, LGD-3303 did not stimulate the ventral prostate even when the dose was increased significantly which indicates the SARM doesn’t impact androgenic organs negatively. Rad-140 is an orally bioavailable and nonsteroidal SARM that makes the hormonal receptors in the tissues of the body act as if they’re getting testosterone. Benefits include enhanced speed, stamina, and endurance. YK-11 is a popular SARM in the bodybuilding industry because it boasts the benefits of gaining muscle and losing fat. Many bodybuilders will tell you this is the most potent SARM on the market, but it’s also very new and very little research has been done to know what the side effects will be for humans. SR-9009 is often called a SARM because it offers basically the same benefits of SARMs, but it’s actually a Rev-ErbA ligand which means it binds to the Rev-ErbA protein to make it more active. 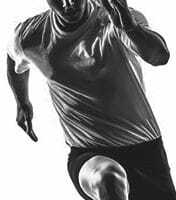 The result is increased loss of fat and improved endurance. Like any chemical, supplement, or medication introduced in your body, SARMs will also create side effects. 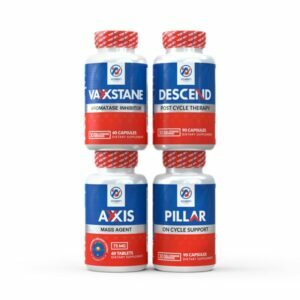 Some side effects are temporary, and are only experienced when you are using SARMs; others are long term or irreversible – which means permanent damages can happen even after you are no longer using SARMs as part of your supplementation routine. Reversible side effects people experience when using SARMs include acne, oil hair, oil skin, increased blood pressure, shrinking testicles, decreased sperm count, increased bad cholesterol levels, and increased aggression. These side effects are unpleasant, but most SARMs users report that after they stop using the chemical, the side effects simply go away. Unfortunately, SARMs users are also at a risk for dependence syndrome: one study discovered that 30% of steroid users end up addicted to using steroids. Since SARMs are very similar to steroids, it stands to reason they also have addictive properties you need to worry about . Scientists and supplement marketers claim SARMs deliver all of the positive, sought-after effects of steroids, but without the detrimental health side effects. While steroids affect all of the cells in the body, including the prostate, brain, and liver – SARMs are designed to stimulate androgen receptors within muscle and bone cells only, and should limit the side effects experienced. Also, because SARMs do not break down in the body into unwanted molecules that have their own list of side effects, like estrogen, and DHT as easily as steroids do, the negative side effects are limited. Steroid users experience a conversion of the steroids into 5-a reductase enzymes in the body, which then convert testosterone into DHT – and this process becomes the cause of many of the side effects that come from using steroids. The general consensus of SARMs users is that they are more effective than Creatine, but not quite as powerful as traditional steroids. Plus, athletes often prefer SARMs over steroids because they are harder to detect in drug testing  – although, if legal, they shouldn’t have to worry about that at all, right?! Actually, while SARMs can be purchased online legally, they are intended for research purposes and not for human consumption. Many SARMs are listed under the prohibited list for athletes by the World Anti-Doping Agency. Based on the claims that SARMs offer athletes, fitness enthusiasts, and bodybuilders all the positive benefits of steroids without the negative, you may be tempted to try them out – but not so fast! Remember I said SARMs are undergoing a wide variety of clinical trials? Well, a Cardarine SARM study had to be cancelled, because the mice test subjects were getting cancerous growths in their intestines due to the study . I realize we are not mice, but we do share 98% of DNA with the critters, so the fact that using a dose equivalent to 75 mg per day for a 200-pound man caused cancer growth in the mice test subjects is enough to raise some red flags for me. The research on SARMs is primarily done with animal test subjects, so we don’t have much information regarding their long-term side effects for humans. This is concerning, because by taking SARMs at this stage of the game, you are basically signing up to be a guinea pig. Want to know our opinion? If you haven’t been able to figure out our stance for using SARMs, then here is our recommendation: don’t do it. We think the risks of using SARMs, both known and currently unknown, outweigh the potential benefits of using them. We think you should avoid buying and using SARMs. 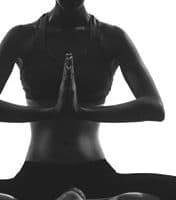 Even if you successfully take them now with limited negative side effects – there is no telling what you may experience years down the line as a result of using these research chemicals as if they were intended for performance enhancement. Also, we know you don’t need them to get the strong, lean body you’re looking for. There are other ways which are safer, more researched, and healthier. So, instead of risking your long-term health on “sort of” legal products, why not focus on using 100% legal health supplements that have gone through rigorous scientific and human testing, are actually sold for human consumption, and get the same or better results? Kanayama G1, Brower KJ, Wood RI, Hudson JI, Pope HG Jr. Addiction. 2009 Dec;104(12):1966-78. doi: 10.1111/j.1360-0443.2009.02734.x. Activation of nuclear hormone receptor peroxisome proliferator-activated receptor-delta accelerates intestinal adenoma growth. Gupta RA1, Wang D, Katkuri S, Wang H, Dey SK, DuBois RN. Nat Med. 2004 Mar;10(3):245-7. Epub 2004 Feb 1.